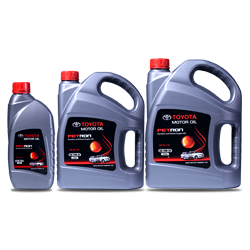 Toyota Genuine Motor Oil is a high performance Oil recommended for all Toyota Vehicles to maintain the quality of your Toyota vehicle.Using Motor Oil that is formulated specifically for your vehicle enhance your engine’s performance. 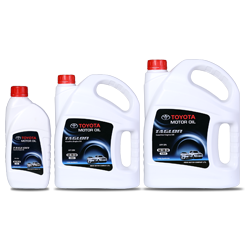 Toyota Genuine Motor Oil is a special combination of advance technology base oil and special additive package that deliver exceptional performance in modern low emission engines as well as old well-maintained engines. 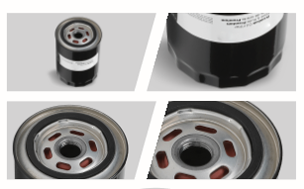 Toyota genuine Motor Oil is different from other. 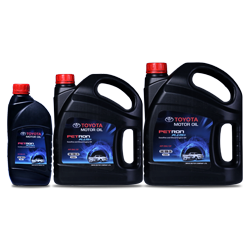 It is blended & Formulated on the basis of the research done by Toyota Engineers on the Toyota Engine & Metal requirement of lubricants. 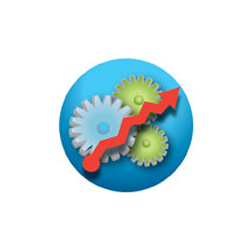 Taglon Gasoline Engine oil is high performance Synthetic engine oil formulated & imported from Japan with good quality base oil which meets the demand of petrol engine especially in lower temperature condition. 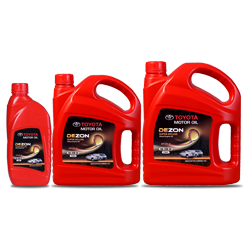 Ensuring engine against deposit and wear problem which can be caused by viscosity increase of engine oil in modern Toyota engine operated in high temperature condition. 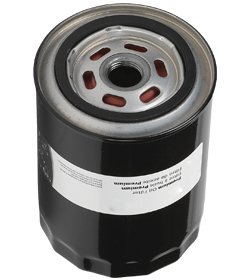 Oil filters remove particles from the oil, preventing friction and engine damage. 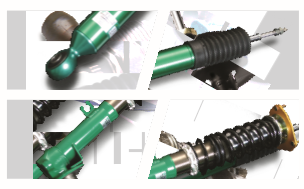 If it is not replaced in time it will be clogged, causing engine friction and damage. It may even require a complete engine overhaul. 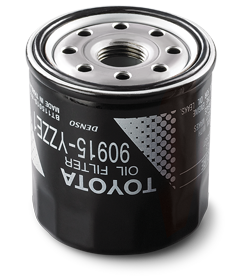 When is it time to change my Oil Filter? 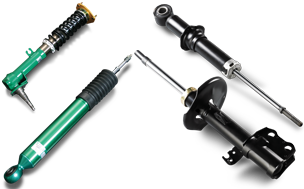 Shock Absorbers work with suspension springs to absorb shocks from the road surface to increase riding comfort and driving stability. 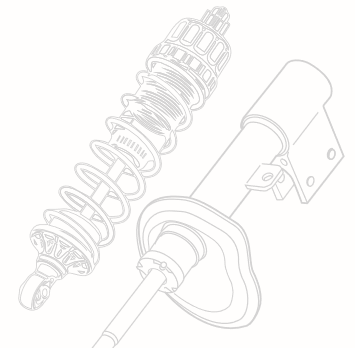 When is it time to change my Shock Absorbers? 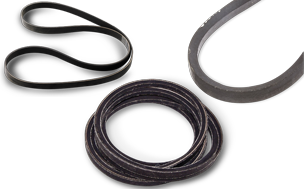 V-Belts transfer the engine’s rotation to the cooling fan, water pump, compressor and power steering pump. 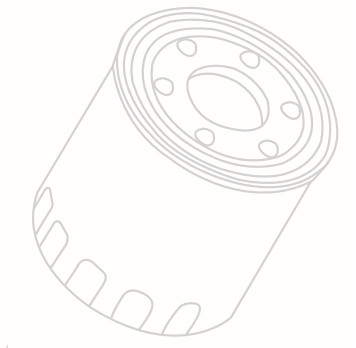 If the belt wears out, it will start to slip, and the engine’s rotation will not be sufficiently transferred to parts such as the alternator and pump. 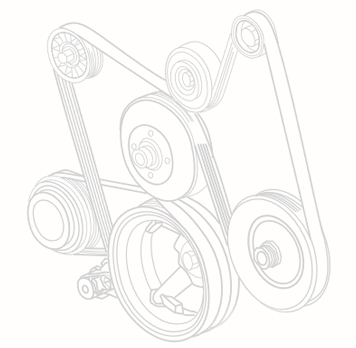 Also, the battery will not be fully charged and the air conditioning and power steering system will fail to work properly. 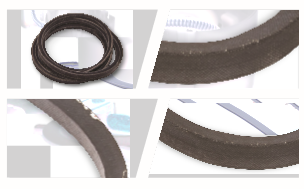 When is it time to change my V Belt?